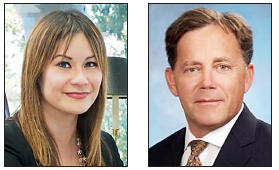 Democrat Josh Newman has been declared the winner in a close contest with Assemblymember Ling Ling Chang (R-Diamond Bar) in the 29th Senate District, giving Democrats a two-thirds majority in the State Senate. As of Dec. 1, more than three weeks after the Nov. 8 election, Newman had 159,977 votes (50.4 percent) to Chang’s 157,509 (49.6 percent), a difference of 2,468 votes. Chang initially held the lead, but Newman pulled ahead, helped by provisional and absentee ballots. Democrats already had a supermajority in the Assembly with the defeat of Republican incumbents David Hadley in the 66th District, Young Kim in the 65th District, and Eric Linder in the 60th District. They will be replaced by, respectively, Al Muratsuchi, Sharon Quirk-Silva and Sabrina Cervantes. Because of the possibility of a Democratic supermajority, both parties spent heavily on these races. According to The Orange County Register, Chang received about $1.8 million from statewide Republican parties and $1 million from the oil and energy industries, while Newman received $2.2 million from state Democratic parties. Newman, who ran for the San Francisco Board of Supervisors in 1994, is founder and executive director of ArmedForce2Workforce, a nonprofit providing job search and career planning aid to young veterans. Elected to represent the 55th Assembly District in 2014, Chang serves as Republican whip, vice chair of the Rules Committee, and a member of Appropriations Committee and the Privacy and Consumer Protection Committee. She previously served on the Diamond Bar City Council and the board of the Walnut Valley Water District. Chang gave up her Assembly seat to run for Senate, and her successor will be Republican Phillip Chen, who defeated Democrat Gregg Fritchle in the Nov. 8 election. Chang and Kim were among five Asian American Republican women elected to represent Orange County in 2014, along with State Sen. Janet Nguyen and Supervisors Michelle Steel and Lisa Bartlett. In addition to Kim and Steel, Chang’s endorsers included The Orange County Register, Rep. Ed Royce, State Board of Equalization Vice Chair Diane Harkey, Assemblymember Rocky Chavez, Orange County Supervisors Andrew Do, Shawn Nelson and Todd Spitzer, Orange County Sheriff Sandra Hutchens, Orange County District Attorney Tony Rackauckas, Orange County Clerk-Recorder Hugh Nguyen, and Orange County Treasurer Shari Freidenrich. Newman’s endorsers included Gov. Jerry Brown, State Attorney General Kamala Harris, State Controller Betty Yee, State Treasurer John Chiang, State Board of Equalization Chair Fiona Ma, State Senate President Pro Tem Kevin de Leon, Assembly Speaker Anthony Rendon, and Assembly Speaker Emeritus Toni Atkins. In a rare instance of a sitting president getting involved in local races, President Obama endorsed Newman, Muratsuchi and two other candidates for the California Legislature. Chang and Newman were the top vote-getters in the June primary, with another Democrat, former Irvine Mayor Sukhee Kang, finishing third. The district includes the cities of Chino Hills (San Bernardino County); Diamond Bar, Industry, Walnut and West Covina (Los Angeles County); Anaheim, Brea, Buena Park, Cypress, Fullerton, La Habra, La Palma, Placentia, Stanton and Yorba Linda (Orange County). It is currently represented by Republican Bob Huff, who is termed out.